The participant explicitly agrees to the electronic storage of his/her personal data for administrative purposes in regards to the conference registration and for the general receipt of information concerning the conference. A forwarding of personal data to third parties and beyond the above listed use is explicitly excluded. Our partner Advantage Austria provides and manages the innovative networking tool “b2match”. By using this tool, each participant accepts to be included in the Advantage Austria address database. The participant acknowledges that she/he cannot make claims for compensation against the event organizer should changes to the program result from speaker cancellation(s). This is accepted by the participant through registration. Tickets are not transferable. For security reasons, name badges must be worn at all times during the conference. All participants are obliged to carry an identification document throughout the event. Admission to the conference area can be prohibited in the event that a participant is unable to identify him/herself by means of an official identity document including photo. 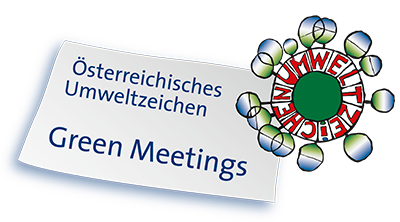 The R20 Austrian World Summit is committed to creating a safe, sustainable, and friendly experience for all guests. Our staff will proactively intervene to support an environment where all guests can enjoy the Summit experience, free from disruptive behavior.This includes intoxication or other signs of impairment related to alcohol or drug consumption, as well as the use of marijuana or tobacco products, in any form including electronic cigarettes. Also included are obscene or indecent conduct or clothing not appropriate in a public place and any disruption of the event, including throwing of objects or trespassing on stages or in other restricted areas. This also applies to sitting in or entering a location outside designated credential access point and fighting, taunting, or making threatening remarks or gestures. Any guest not adhering to the above code or behaving in an unruly manner may be asked to leave and escorted from the event and subject to further action by Law Enforcement officials. The R20 Austrian WorldSummit and their affiliates reserve the right to determine behavior warranting removal. List of prohibited Items subject to change without notice.